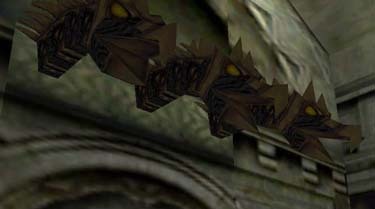 Many of you will remember this image from Tomb Raider: Chronicles. 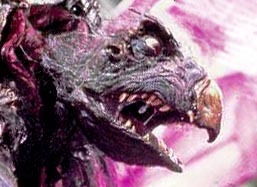 I think someone in the level design team really liked a movie called "The Dark Crystal" - an entirely puppetry based movie by Jim Henson. 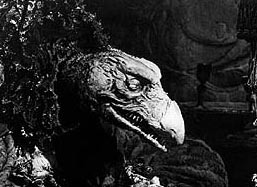 I think those things on the wall look remarkably like the Skeksis (pictured below that) from this movie - what do you think ?